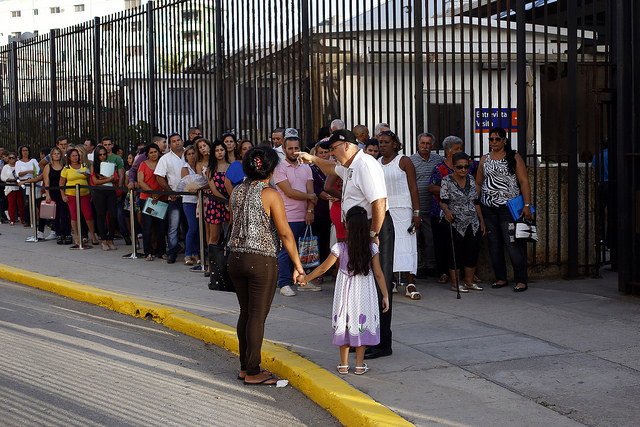 HAVANA, Dec 10 2015 (IPS) - The crisis that has broken out at several border crossings in Latin America as a result of thousands of Cubans attempting to reach the United States has revived a problem that remains unresolved between the two countries in spite of agreements, negotiations and the diplomatic thaw that started a year ago. In the meantime, measures taken by Havana to curb the exodus of health professionals have led to reversals in the flexibilisation of the country’s migration policies which was part of the reforms being adopted, and have given rise to reflection on the causes and the consequences for the country of the growing wish to move abroad. Analysts say it’s time to discuss why so many young people want to leave Cuba, despite the risks of failing in their attempt. In October 2012, the government of Raúl Castro lifted the restrictions that for decades kept Cubans from going abroad, eliminating, for example, the requirement of an exit visa to leave the country. But the main hurdle was still the visa demanded by the United States, the main recipient of immigration from Cuba, and nearly all other countries. “Two friends of mine are stuck in Costa Rica and another was about to buy a ticket to fly to Ecuador when that country began to demand an entry visa, starting on Dec. 1,” a young local musician who preferred not to give his name told IPS. In response to the announcement that Ecuador would no longer be one of the few countries to which Cubans can freely travel, around 300 people protested outside the Ecuadorean embassy to demand a solution. Some cried while others asked for visas or to be reimbursed for the money they had spent on plane tickets. Meanwhile, on Monday Dec. 7 the Cuban government put into effect Decree 306, approved on Oct. 11, 2012, which regulates travel abroad of health professionals – a measure that upset a sector that contributes some eight billion dollars a year to state coffers from services provided to third countries. The authorities have stated that the idea is not to ban travel abroad, but to require that doctors with specialties considered essential or key to scientific research and final year residents apply for a special permit to leave the country, in order to guarantee the stability and functioning of the country’s health services. According to official data from 2014, Cuba has more than 50,000 health workers on assignments in 66 countries. Over 60 percent of them are women and around half are doctors. The main recipients of Cuban health professionals in Latin America are Venezuela, Brazil and Ecuador, in that order. The growing migration of Cubans, especially people between the ages of 20 and 40, and women – in 2014, 52 percent of the 46,662 people who left Cuba were female – poses a new challenge for Cuba, due to the low birth rates and an ageing population. In 2012 the birth rate was 11.3 for every 1,000 inhabitants, 1.5 less than in 2011, while 18.3 percent of the population of 11.2 million was over 60. The protest outside the Ecuadorean embassy took place while more than 5,000 Cuban migrants remained stranded, on Thursday Dec. 10, at the border between Costa Rica and Nicaragua, due to the latter country’s refusal to let them in. Another 1,000 are waiting to cross the border between Colombia and Panama. From Ecuador, on their grueling journey to the United States, Cuban migrants go through Colombia and Panama, Costa Rica, Nicaragua and other Central American countries before crossing Mexico and reaching the U.S. border. Sources in the United States estimate that over 43,000 Cubans reached that country between October 2014 and September 2015, mainly entering across the Mexican border. According to human rights groups, Mexico is where migrants face the greatest threat of being robbed, raped, or even killed. For years Latin American migrants have used the route through Central America to try to make it to the United States. The trafficking rings charge Cubans up to 10,000 dollars for smuggling them into that country. But the flow was cut off when Costa Rica adopted measures against human trafficking in early November. The crisis coincided with a new round of the periodic migration talks between Cuba and the United States, held to assess the implementation of the agreements reached in 1994 and 1995 aimed at ensuring “safe, legal and orderly” migration. Until the thaw agreed on Dec. 17, 2014, the negotiations were the only regular dialogue between Washington and Havana. In the meantime, “balseros” or “rafters” intercepted at sea are returned to Cuba in compliance with the bilateral accords. And during these talks and in official statements, before and after the restoration of diplomatic ties in July, Washington ruled out any changes in its migration policy towards Cuba. Havana argues that these policies foment illegal migration, and that the 2006 Cuban Medical Professional Parole Program encourages Cuban medical personnel to leave their posts in third countries and go to the United States. 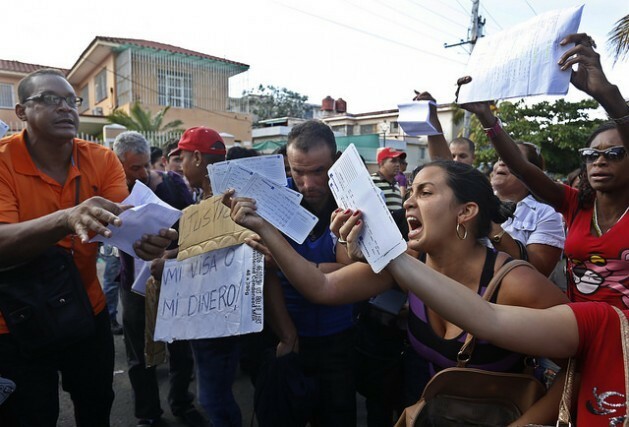 That programme has drawn over 5,000 Cuban doctors to abandon their overseas assignments. This, together with the freedom to emigrate that health professionals have enjoyed, the retirement of doctors, and the number of medical workers who have switched to other economic activities “have made it even more difficult to maintain the domestic health services,” analyst Jesús Arboleya wrote in an article on the issue. Experts like Antonio Aja, author of the book “Al cruzar las fronteras” (When Crossing Borders), say Cuba is a source of immigrants, and emigration will continue even under optimal domestic economic conditions. According to his estimates, one out of three or four people living in Cuba have relatives abroad. He said social networks are one of the factors that draw people to other countries, along with the search for better economic conditions, jobs and wages. “The thing is, when they get to the United States, they tend to declare themselves as immigrants motivated by political reasons, for their immigration status,” Aja told IPS.